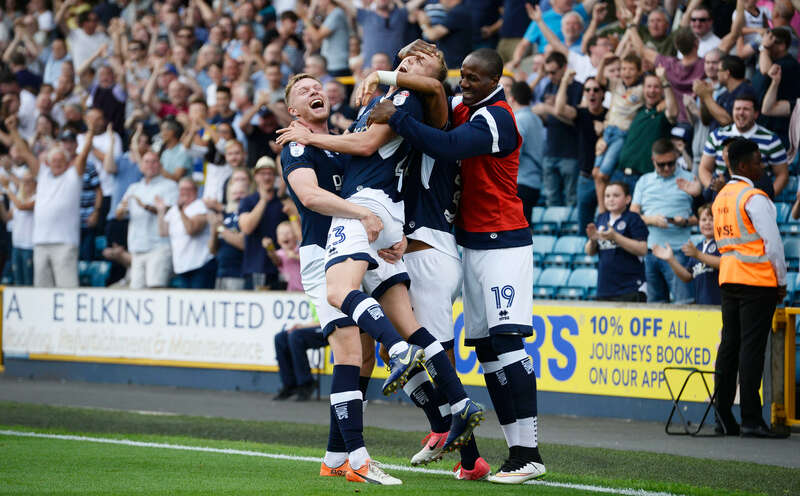 Millwall turned the form book upside by beating top of the table Leeds United by a goal to nil at the New Den to send the visitors back to Yorkshire with ‘nowt’. The London team were good value for their win as an Aiden O’Brien 73rd minute goal was enough to silence the travelling fans as Millwall deservedly overcame Leeds United to end the Championship leaders’ unbeaten start to the season. A dominant Lions could and should have wrapped the game up a lot earlier. The home side had a whopping 20 shots to Leeds United’s 6 shots none of which the away side’s efforts were on target at all. The corner count was just as bad reading for the visiting team as they could only muster 2 in the whole game while a rejuvenated Millwall managed 14. If the scoreline was a surprise so was the manner in which Leeds lost as United had won all three of their previous away games this season but were definitely on ‘Planet Inadequate’ as Millwall took the game to the Yorkshire club. An attendance of 16,447 saw Millwall breathe life into their season and move them up to 16th position in the Championship. A defeat would have left them hovering above the relegation places. Meanwhile Leeds still retain the lead in the league but manager Thomas Christiansen will be wondering where it all went wrong on their day trip to London. The fact that Millwall left it until only 17 minutes from time when O’Brien fired home from Fred Onyedinma’s pass would have left The Lion’s fans sweating a bit. Still better late than never and fully deserved for the Londoners who also saw a Steve Morison effort ruled out for offside, while Jed Wallace hit the post with a volley from 20 yards. The Yorkshire team also finished with 10 men after Pontus Jansson went off injured after Christiansen had used all their substitutes, however they were second best to a Millwall side who have now won eight of their last nine home league games against Leeds, including the last four games without conceding a goal. Leeds were without captain Liam Cooper because of the back injury he picked up in the win over Birmingham this week and were on the back foot from the start as Morison was denied by the offside flag and saw an effort cleared off the line by Cooper’s replacement Conor Shaughnessy. Felix Wiedwald between the sticks for Leeds was Man of the Match pulling off a string of saves to deny Steve Morison, Shaun Williams and Shaun Hutchinson as his defence were mauled by the Lions. 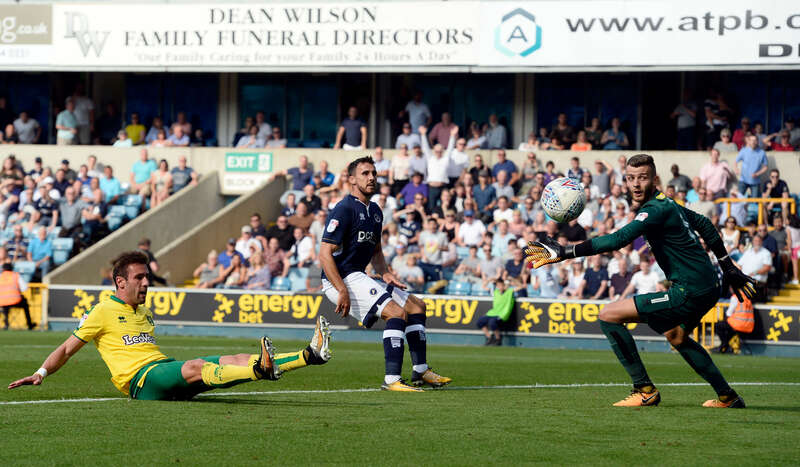 Kalvin Phillips flicked a header wide from Leeds’ best chance but, after Wallace hit the woodwork, O’Brien made no mistake with his opportunity to secure Millwall’s second victory of the season. “We’ve played in a lot of games this year where we’ve been as good as that and not got the points, so it’s very pleasing to play that well and get the three points. We worked very hard on Thursday and Friday to make sure the team’s got a game-plan to stop them playing, and the credit goes to the players for executing it. “I want to see a reaction after a defeat. We have to learn from our mistakes and bring it to the next game. I cannot complain (about) the players for anything because if we are in the first position, still now, it’s because of them, so I will not complain for one loss in a very bad game. Next up for Millwall is an away match at Preston next Saturday.